Some people are born with tornados in their lives, but constellation in their eyes. Other people are born with stars at their feet, but their souls are lost at sea. Shop Stylefrontier dress and necklace. Valentino rockstud shoes. DKNY watch. Charles and Keith bag (it's my work bag by the way heheh). I think "almost" is the saddest word there could be. "we've almost made it through" "it almost happened". It's a word used when you expect a certain thing to happen, but life turns into another direction. Then again, life is a process and you just ought to follow your heart to choose what is right. You'll end up real disappointed if you think, people will always do for you as what you do for them. Not everyone has the same heart as you. You can only take so much heartache, do not let yourself sink in forced interactions or unnecessary conversations with someone who does not have the same frequency. Do not let yourself be somber. 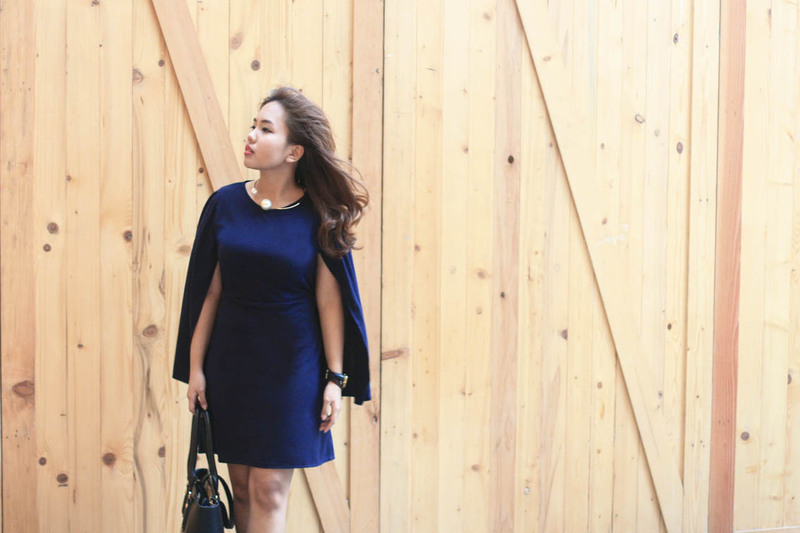 Getting in hype with the cape trend with this simple cape dress that i think fit well for both work and lunch outing. Are you wearing the trend as well? Wow, what a gorgeous dress! Love this cape style! You look so classy in it! the bag and shoes is really pretty..where can i buy that? 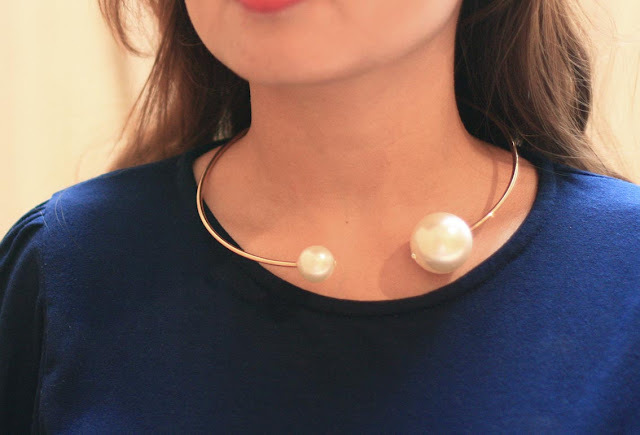 you look so polished and chic! navy really suits you dear! I am so in love with the sleeves of this dress! it's so beautiful! That is such a nice navy dress! I like the studded heels with it, and your post has some interesting thoughts! Beautiful dress and style. I loved what you had to say, especially about the constellations. Powerful imagery. Have a great week! So beautiful your reflections. Thanks! Btw, you look amazing in that dress.